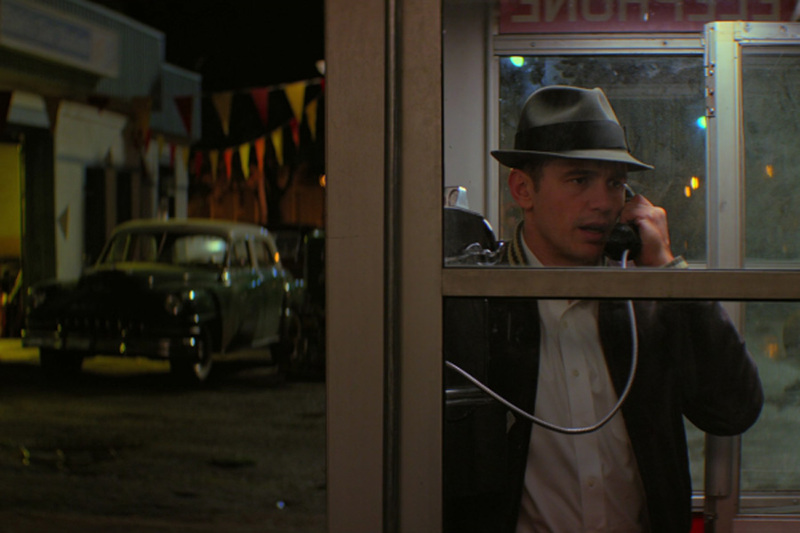 At the end of last week’s episode of 11.22.63, a whole lot of important stuff had gone down: Sadie, Jake’s girlfriend, had nearly been murdered by her psychotic ex-husband, only to be rescued by Jake (though she is left with a nasty scar on her face that, through the magic of Hollywood makeup, looks more like a geometrically perfect and isolated case of hives on her right cheek); Jake, in a moment of vulnerability and total honesty, has confessed the entire truth of his mission to Saide; and Bill has begun to show signs that his loyalties may not be airtight with Jake’s cause, showing some intellectual curiosity about Lee’s ideology, and developing some not-at-all-a-bad-idea romantic feelings for the man’s wife, Marguerite. And as the episode ended and credits rolled, the audience was left to wonder: how will all these developments come to a head next week? And just like that—Sadie has fully accepted Jake as being from the future; Ms. Mimi has cancer, is in love with Deke, the principal at Jake’s school, and has decided to undergo experimental chemotherapy in Mexico; Marguerite has had it up to here with being knocked around by Lee and moves out, and Bill has simultaneously become Lee’s BFF and started shacking up with his wife. We don’t, mind you, see any of these important developments occurring—all we see is that title card, and we’re left to take it as faith that the details of how we got there aren’t important enough to spend screen time on. Leaving aside what we do actually get in this episode—and it’s actually quite an entertaining hour—it’s impossible to not focus on how infuriating it is that what could have been the absolute best aspects of this entire series aren’t even glossed over, but are left unwritten completely, so that we have more time to watch Jake and Bill sit around with headphones on listening to inane conversation after inane conversation between Lee and his communist cohorts. For God’s sake—Bill is potentially being set up as the second JFK shooter, and not a single moment is given to his character’s evolution: one moment he’s all rah-rah-rah let’s save JFK, and hey, that Russian girl is kinda pretty, ain’t she?…and the next, he’s pointing a gun at Bill and saying the mission is over. We also miss out on Sadie coming to grips with Jake’s true identity. It’s more than a little ironic that when the weakest part of this whole story—the love story between Jake and Sadie—finally gets a little interesting, said interesting aspects aren’t covered, as if the showrunners couldn’t take the chance of viewers, for even one moment, not being bored every moment these two are on screen together. When we left them at the end of the last episode, Jake was holding Sadie’s hand, and telling her he’s from the future. She begins to laugh, but then as realization slowly dawns on her, that he’s not joking, you can see the gears turning in her head, and it sets up a pretty interesting scenario: just how in the hell would you react to the love of your life saying, “Hey, babe. I’m from the future?” But, again, we don’t get that reaction: we only get the bliss that results after she’s fully accepted this truth. But the most egregious omission is on Bill’s side. When we saw him, in episode 5, accepting the Marx book from Oswald, it was clear that his allegiance was about to change, or at least waiver. Bill’s a fascinating character anyway: poor and neglected his whole life, and losing the only thing he’s ever held dear—his sister—to a senseless act of violence, he’s obviously latched onto Jake not because he believes in the mission to save JFK, but simply because he needs something important, something to believe in. And when Bill doesn’t realize—or doesn’t care—about the important role he plays in this young man’s life, it’s no great leap for Bill to wander on over to the dark side. And Bill’s character, one of the more consistent bright spots in this show, deserves to have his evolution examined; and George MacKay has proven himself more than capable as an actor to do that evolution justice. Alas, though, “six months later”…. There’s a lot of good here, though, too. Lee, visiting Marguerite at the home where she’s staying after having left him, seems almost sympathetic as he sits across from his wife and implores her to come home, while their son plays a few feet away—until she says she has to think about it, and his eyes narrow and he tells her there’s nothing to think about, and his true, psychotic self comes through. 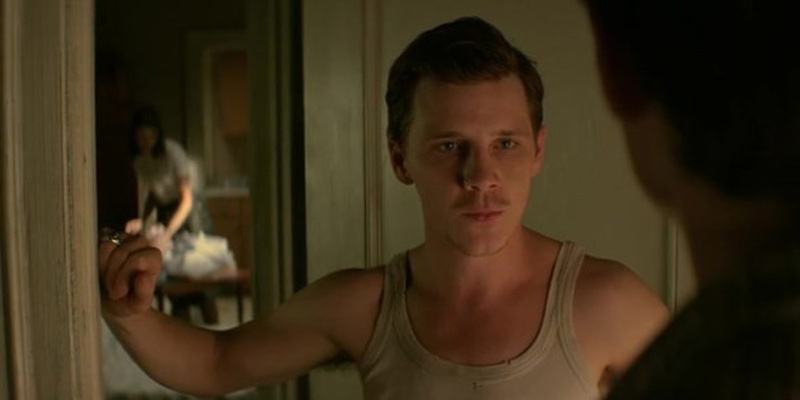 Daniel Webber continues to duel with George MacKay for the title of strongest actor on the show (sorry, James Franco, you of the constantly “What the hell’s going on?” scowl on your face), and indeed, I found myself realizing I would readily watch an entire series that dealt solely with Oswald and his transformation from maladjusted expat to generation-defining murderer—but only as played by Daniel Webber. He does more with just his voice—a fascinating combination of speech-impediment-esque lisp, light Russian accent, and slightly effeminate tone—than most actors in this role would likely do with their entire performance, and if no other good comes of this show, he should have the opportunity to shine in the future. There are a lot of important, entertaining, and well-acted scenes in this episode. And Bill even gets one more chance to be the-audience-by-proxy before kicking Jake out of his life, rolling his eyes as Jake says, yet again, that he’s still not completely sure Oswald is JFK’s killer. But it’s all almost undone by those terrible, opening title cards.